The True Value of a College Education with Josh Elledge (Episode 51) - The College Checklist Podcast: College Admissions, Financial Aid, Sch | The College Checklist Podcast: College Admissions, Financial Aid, Scholarships, Test Prep, and more. Desde: The College Checklist Podcast: College Admissions, Financial Aid, Scholarships, Test Prep, and more. 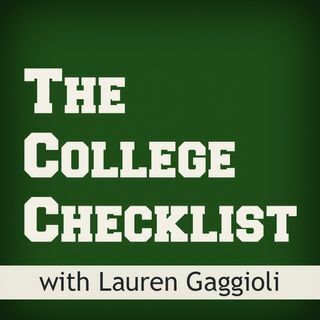 In this episode of The College Checklist Podcast, it was an honor to have my friend, savings expert Josh Elledge, on the show to explore the true value of a college education in today's economy. We discuss some interesting facts about college recently shared in Malcolm Gladwell's latest book, David and Goliath, as well as some valuable savings tips for college. In this episode, I also mention a free course that my father and I offer about leveraging your SAT and ACT scores for cash ... Más informaciones for college. Enroll in the free course here: higherscorestestprep.com/3Ways. Josh Elledge is one of the nation’s leading experts on consumer savings. He is on a mission to help Americans save money and time so that they can give. He is Founder and Chief Executive Angel of SavingsAngel.com, which bolsters the buying power of the average U.S. family by combining technology, coupons and smart thinking for extreme savings on everyday items. He is also the host of the 90 Days to Abundance Podcast – where three days a week he shares deals, and tips for earning and saving money. Don't forget to use Josh's code – ANGEL10 – for a 10% discount on my online SAT and ACT prep course.